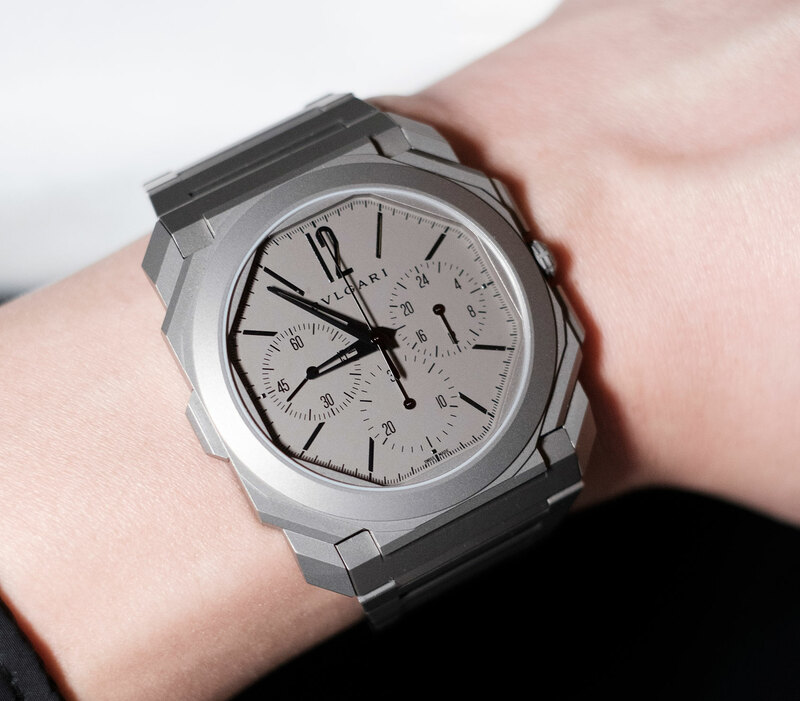 It’s no secret that the Octo Finissimo has been a watch that’s kick-started the heart of Bulgari’s recent string of critical hits. And now the collection has — in addition to the core time-only model, minute repeaters and tourbillons — a chronograph. 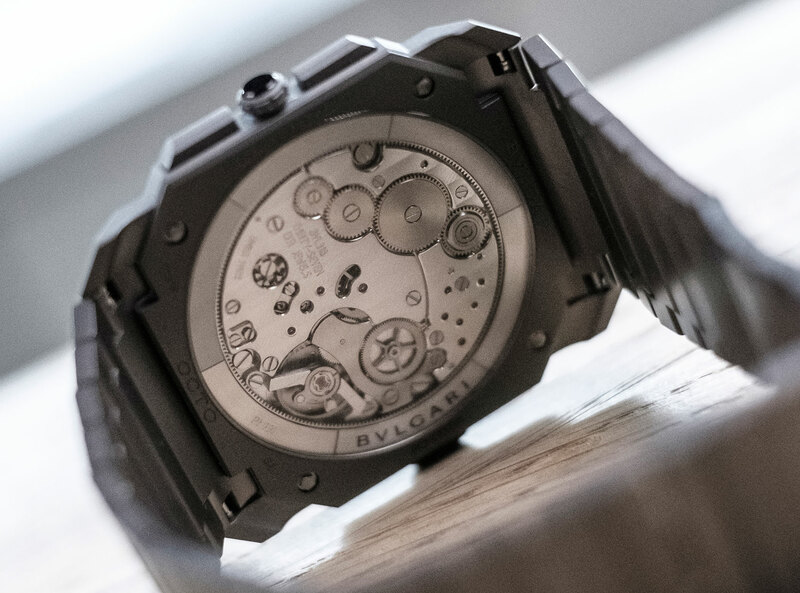 And not just any chronograph, the world’s thinnest. 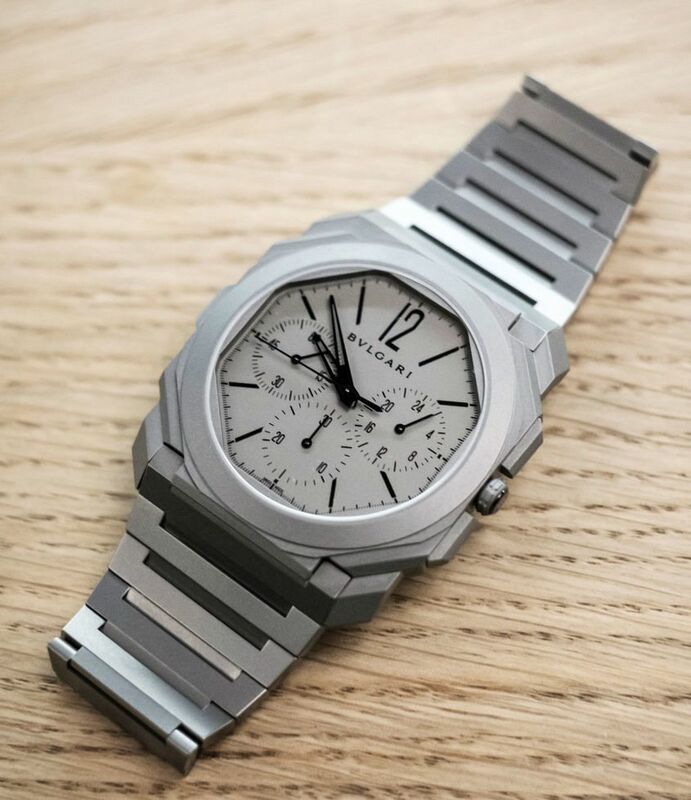 This watch took Bulgari almost three years to develop (which, in watch terms, is rather quick), and the movement is a slim 3.3mm, shredding a fair bit of width off the previous thinnest – a 4.65mm manually wound movement from Piaget. This movement isn’t just thin — it’s got a peripheral winding rotor and a nicely finished movement. It’s also got a second time zone display at three, which is set in sync with the main hands. Altering local time is a cinch, as hitting the pusher at nine advances the hour hand in one-hour increments. Design-wise, not too much has changed. 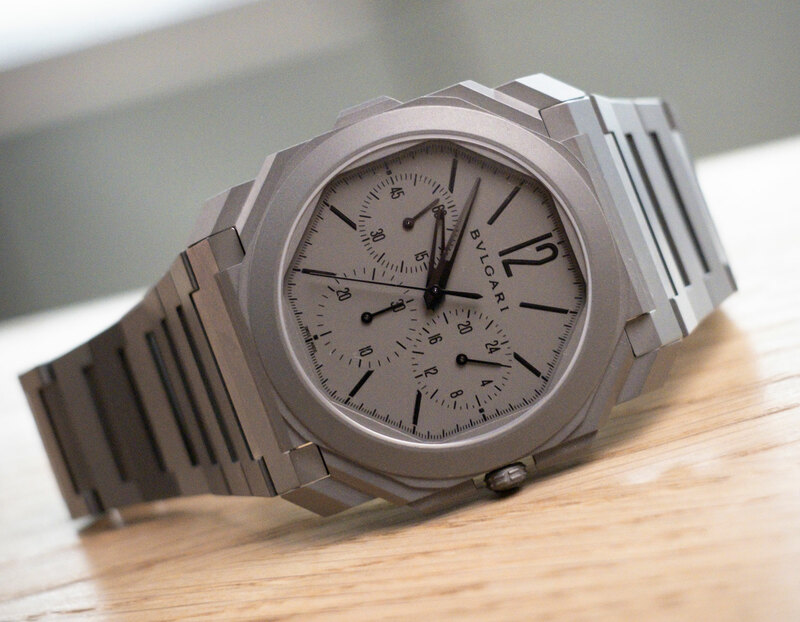 We’re still looking at that classic sandblasted titanium case — only now with a bit more going on with the dial. I really love just how integrated the faceted pushers are to the case. From a distance you’d struggle to know more. It wears just as well as you’d expect on the wrist, with the slight increase in height adding a sense of solidity to the equation. Stay tuned for more.